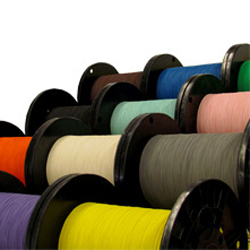 Individual Tight Buffered fibers are available and preferred in production environments because of their ease of stripping. 900um, 800um and 650um buffer sizes match existing tooling and fit the vast array of today’s connectors. 12 standard colors are available in all sizes and most fiber types.